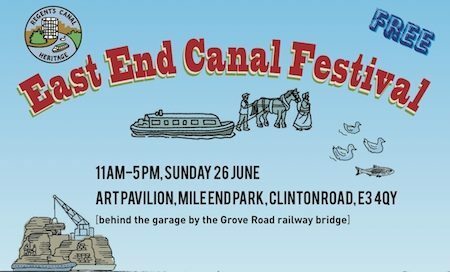 Rain or shine, get yourself down to the Art Pavilion in Mile End Park for tomorrow’s East End Canal Festival, celebrating 200 years of the Regents Canal. 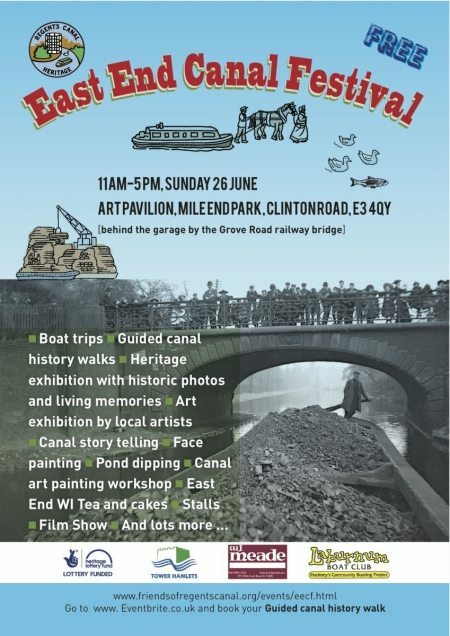 Plenty of activities for the whole family. 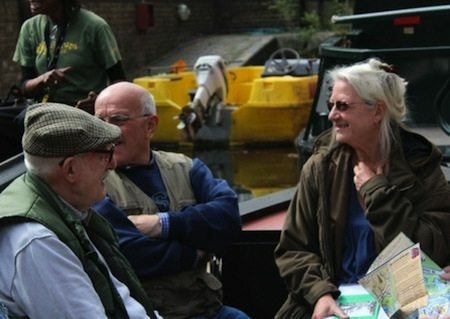 GUIDED CANAL HISTORY WALKS: Book at the Info Desk. of ‘When London Became an Island’. Festival Organiser Carolyn Clark in discussion with two of the Geezers. Previous Post:Were you, or your cakes, or your knees in the picture?